Beyond the tactical play, there's the overarching strategic layer. You have to pay your warriors between every mission or they refuse to fight. They charge you an upkeep fee of a set amount of gold as compensation for fighting for you. If any of of your squad gets an injury in battle (the enemy team's attacks drain their health completely), they sustain lasting damage. Broken jaws, head trauma, or a nervous twitch are some of the smaller wounds. On a heightened level, your squad can have their arms and legs cut off. The rarest, most severe penalty for loss is having a squad member die from their injuries. This permanency ads emotional impact to your relationship with your squad. My own team, the "Bloody Fists" mercenaries, ran into some trouble during the second story mission of act 1. The mission was simple - go into a church and fill up some vials with holy water. We weren't prepared for the Cult of the Possessed infestation inside the church. The squad leader, Ottmar Von Mirellasohn, lost an arm after he fought off several Cult of the Possessed reinforcements stationed in the higher floors. When I saw the look on my leader character's face after the battle, he seemed disappointed in me. The presence of consequences for failure makes every battlefield move beg for careful planning. Strategizing your soldiers is possible through the great weapon options. You can go head-on with the standard swords and axes kind of approach. Thinking bigger and using halberds or great axes comes at a penalty for their size. The damage they deal is worth the trade-off though, I had all of my henchmen hauling two-handed weapons around most of the time. 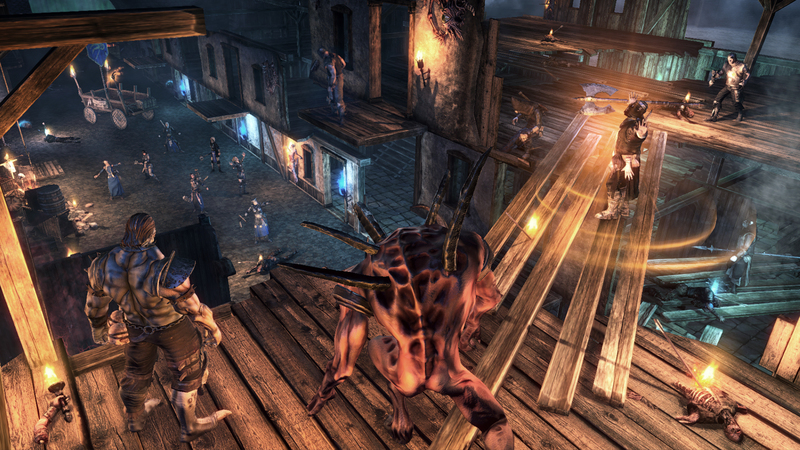 Killing from afar is also possible with a range of bows and firearms. 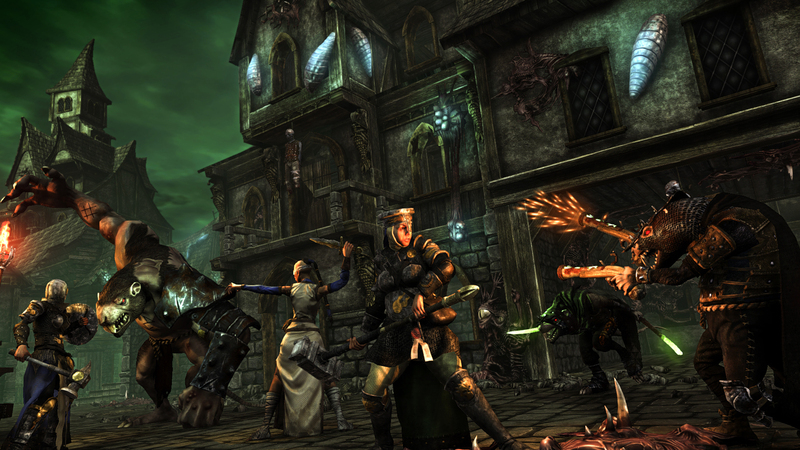 The blunderbuss gun packs a huge punch in terms of damage, but carries the risk of harming your allies too. A pair of shiny dueling pistols can really give your hero characters the offensive edge. Amulets and helmets help ward off magic spells and absorb damage. Chest plates in light and heavy varieties help out with that as well. That list, I must note, is the kinds of options available to human mercenaries - the other factions have their own unique sets of weapons. There's some variety to the weapons beyond their basic forms. Some items have rare colored variants with better stats and rune slots for enchanting. An in-game item shop presents rotating weapon and armor options to you, but the rarer things are only found as loot or rewards from completing missions. 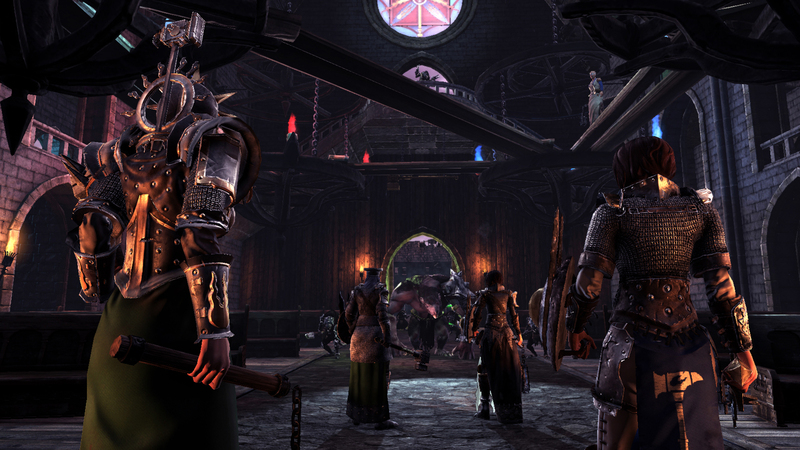 The wyrdstones you gather are sold off to black market factions who grant gold and favors in return for repeat shipments. Occasionally, you get a request demand for a certain amount of wyrdstone from your patron. If you don't deliver it in a certain timeframe, it's game over. 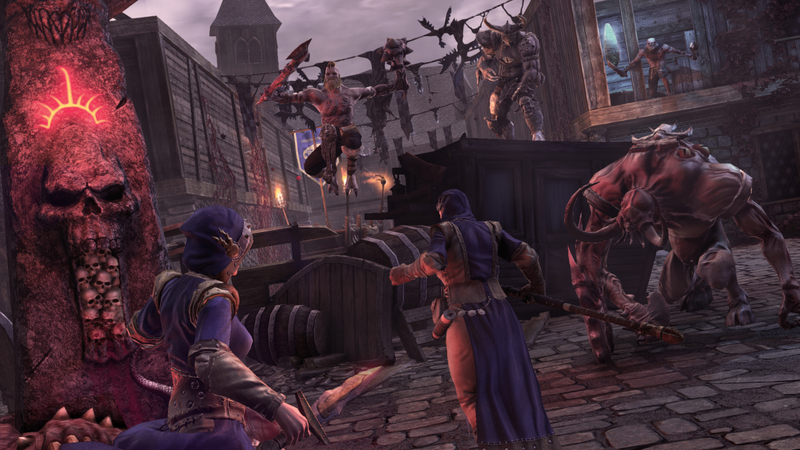 As you begin to develop those basic tools of war, abilities, spells, and other character types begin to unlock. 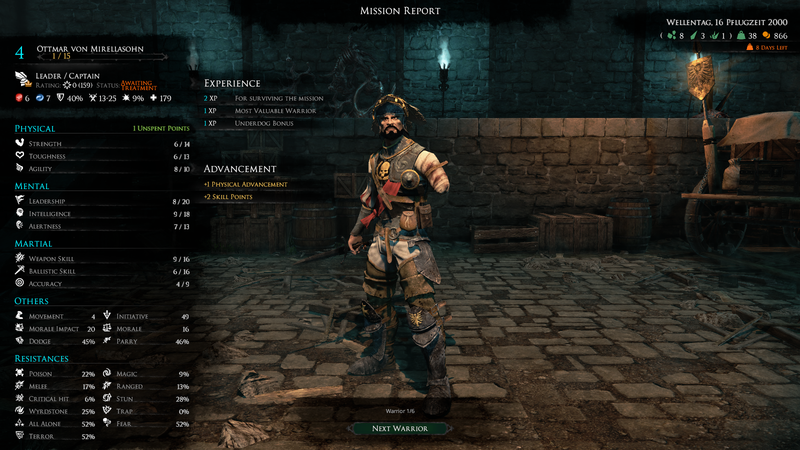 You gain skill points to spend on those and other abilities for your crew, investing money to train them with new powers. The spells and abilities feel balanced and are all suited for situational advantages. Your squad member's abilities can be active or passive. An active ability, for example, would be a skill that taunts your enemy. Making your foes distracted and easier to hit. A passive ability would increase your magic or melee resistances, or the "underdog" ability that increases critical hit chance when surrounded by two or more enemies. 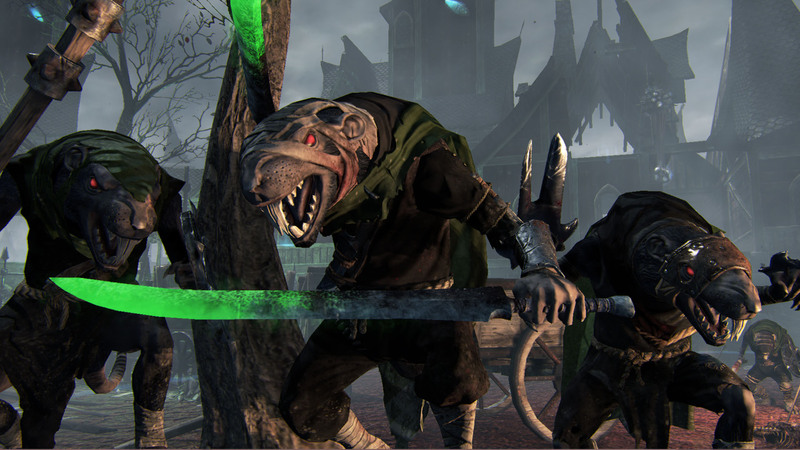 Mordheim's multiplayer uses the singleplayer skirmish rules. This can be a good or bad thing. It's a positive because the gameplay experience is fun - online and offline deliver the same brutality. But online play has its flaws beyond simple connectivity concerns. The main issue is the possibility of going up against an overpowered team, ruining a lot of the fun - the game isn't perfectly balanced. The devs added restriction options to help circumvent the imbalances and abuses, but it's still something to keep in mind. For all its strengths, the game lacks on polish. 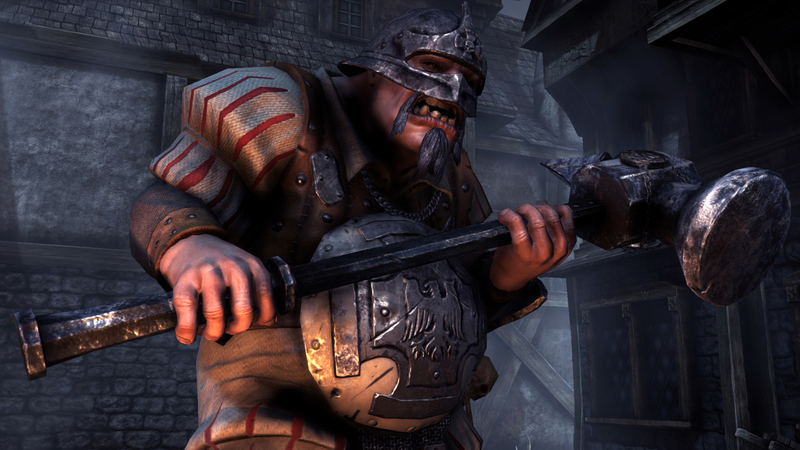 The biggest complaint I had playing Mordheim? The long load times. 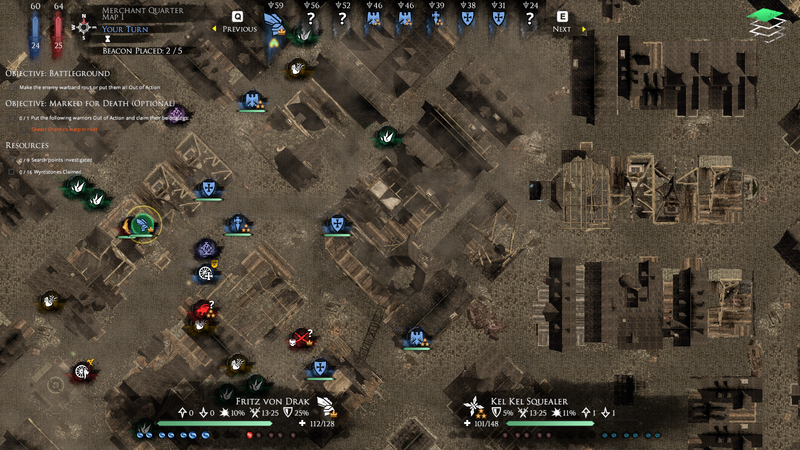 Every time I started a new skirmish match it took a good couple of minutes of waiting until the map finally loaded. If the game was very graphics intensive, I would understand why this was happening, but none of the animations, textures, or rendering really justify it. This may be something that gets ironed out in future patches, as the developers optimize load times and procedural generation, but for now it's a major annoyance. 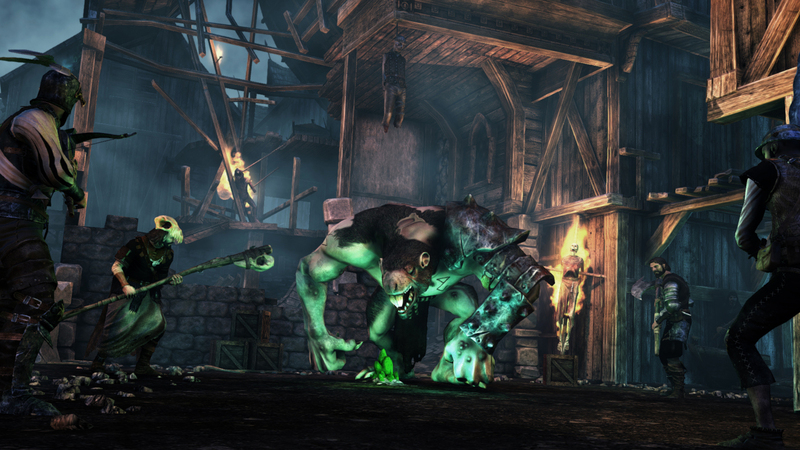 Don't let the difficulty of Mordheim: City of the Damned throw you off. The initial experience looks punishing, but a few rounds of skirmish matches will help you understand the mechanics. From there, you'll bond with your squad through the trials, triumphs, and failures you experience together. 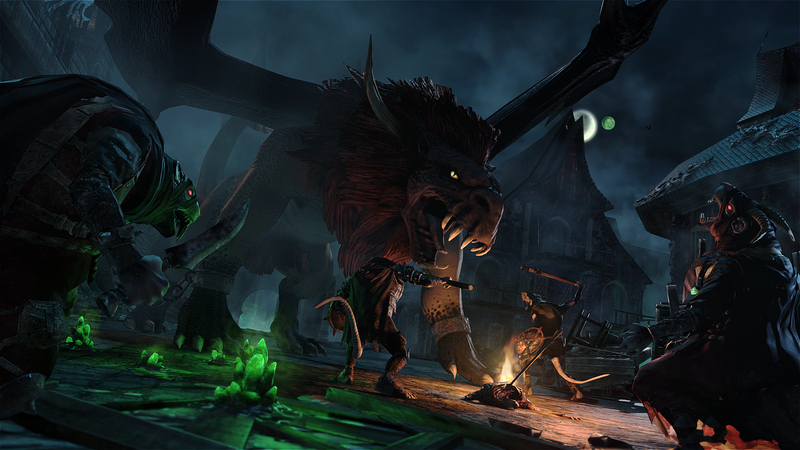 Mordheim: City of the Damned isn't about winning or losing, it's about making the best of the bloody journey. Bottom Line: A solid tactical game centered around survival of the fittest and eking out every advantage.. Recommendation: Warhammer Fantasy fans will enjoy it for sure, X-COM enthusiasts will find the squad based tactics familiar, and maybe even those who like Valkyria Chronicles will find something to love.